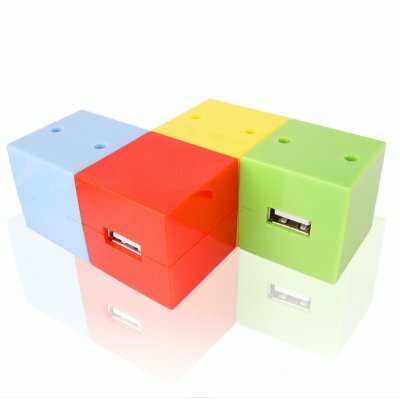 Successfully Added 3 Port USB Hub + Bluetooth Dongle - Rubix Cube Design to your Shopping Cart. Completely unique new computer accessory combo with a three port USB hub built together with a Bluetooth dongle, and made in a very cool rubix cube design that lets you freely rotate each individual cube for possibly very eye catching shapes. This is a perfect gadget Bluetooth device for both saving space, connecting all your USB powered devices, and doing multiple tasks with an incredible amount of Bluetooth profiles included. A great gadget that is perfect for resale, and is in stock right now!